We have had a week of stunning scenery and great drives. We have seen 4 of the big 5 with only the leopards eluding us this week. Buffalo seem to be filling the plains at the moment – impressing guests with their agility as they move through the rolling hills of Zululand. Some of our Square-lipped (white) Rhino entertained us with their antics. Females with inquisitive calves have been seen having a ball at some mud wallows on the reserve. We also watched a bull scent marking, scraping and rubbing trees only meters from the vehicle – it’s always interesting to witness these powerful animals in their natural habitat. One of our massive bull elephants has wandered south to an area full of small dams and natural pans – much to our amusement as he splashes around in the summer heat. The lions have still been in close proximity to each many of us are sure they have either mated already or are going too soon. We will keep you posted on their progress. You can find news on all our other weird and wonderful sightings in this month’s Leopards tale. 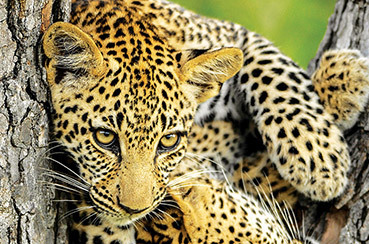 To sign up for the monthly Leopards Tale you can follow the links on the website.